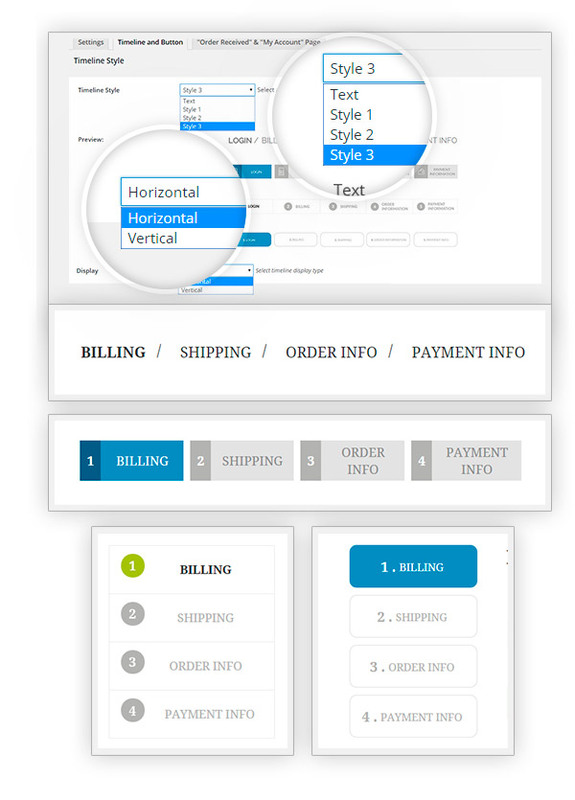 A/B split testing into checkout pages (analysis made to find out which checkout structure works better in e-commerce sites) has turned out to be the best choice for a better user experience during purchase. 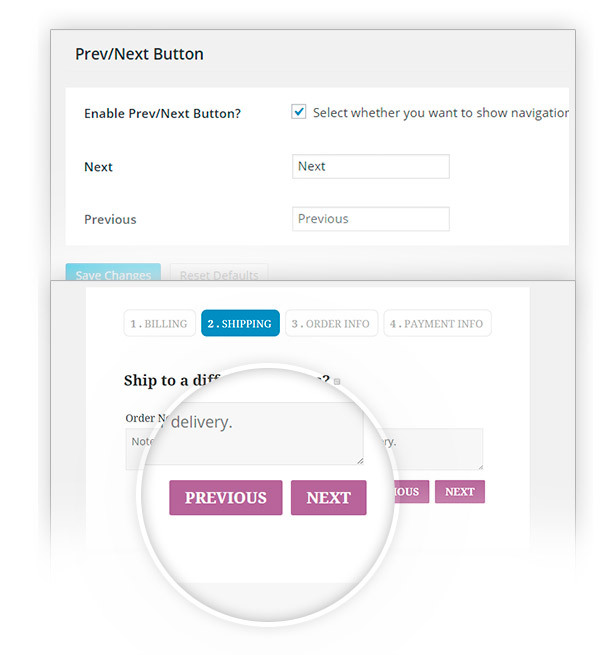 A multi-step checkout helps sorting data and split them in different and progressive sections: this is much clearer from the customers point of view. 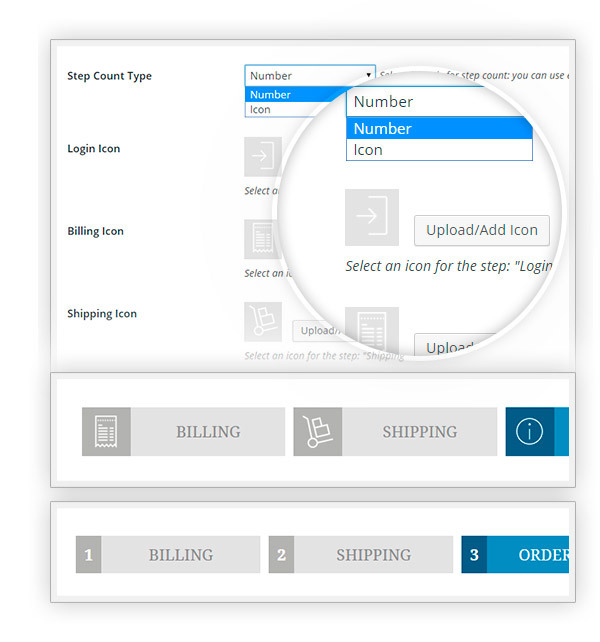 It avoids confusion and reduces possible errors while filling in the forms. So, cart abandonment and common problems of websites with complex checkouts, are so highly reduced that they will spare you from losing customers during the last phase of the order process! Basic plugin, but makes the site look a little more special. Happy to have it, not sure yet if I will renew next year, due to the price. Good plugin, bit pricyPlugin is easy to setup, nice to organize your site a little.  Works very well and makes my site look more professional. Bit on the pricy side though. Happy with supportGreat plugin and very nice to see that you can keep it in the style of your website. I have had some issues with the installation of the plugin but Andrea was able to help me out very quickly. Good job! Works very well. Happy to see the 2 options for the login screen. Just what I was looking for. 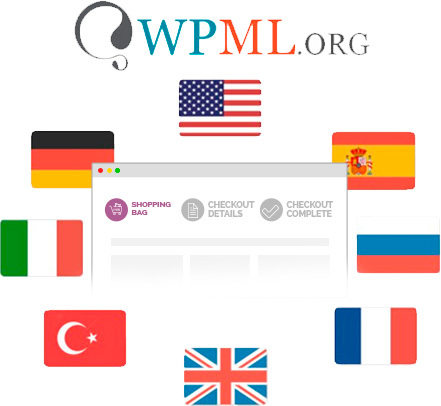 No that is not possible unfortunately, this plugins allows you to split the checkout in more steps. 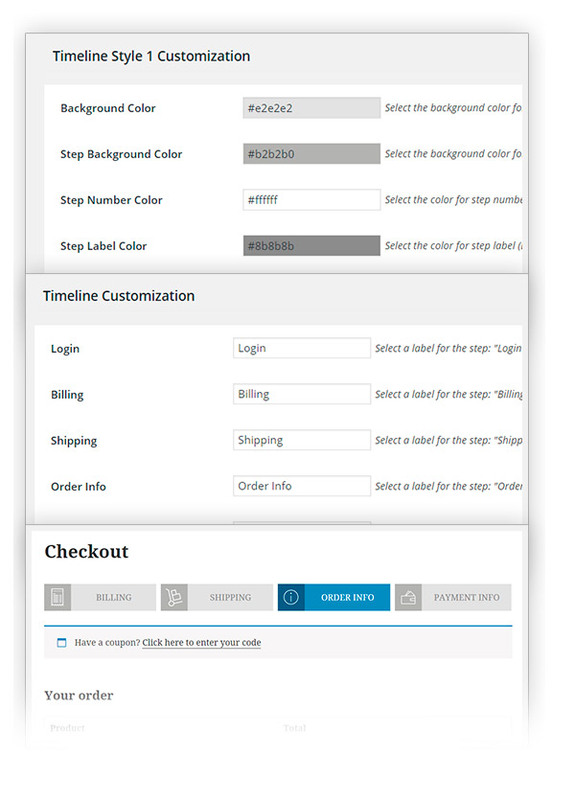 The plugin does not have the features o customize the checkout. yes you have the possibility to change the style and color of the steps. I would like to recommend you to try out the premium version yourself in our live demo. If you want to enter the backend, just click on the "Launch Admin Demo" button on the upper right side of the screen. I'm afraid is not possible at the moment. We will study it and check if it is possible to add a feature to allow it in future releases. Thank you very much for the suggestion. 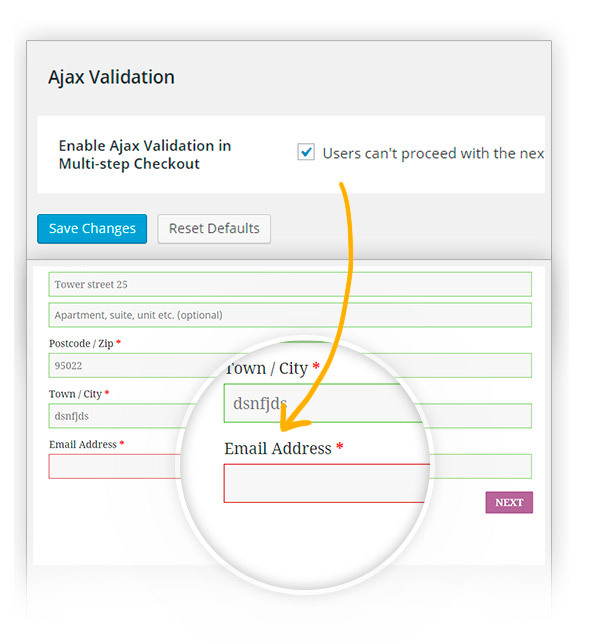 The Multi-step Checkout plugin simply splits the standard WooCommerce checkout in 4 steps (5 is the user is not logged-in) and nothing else. 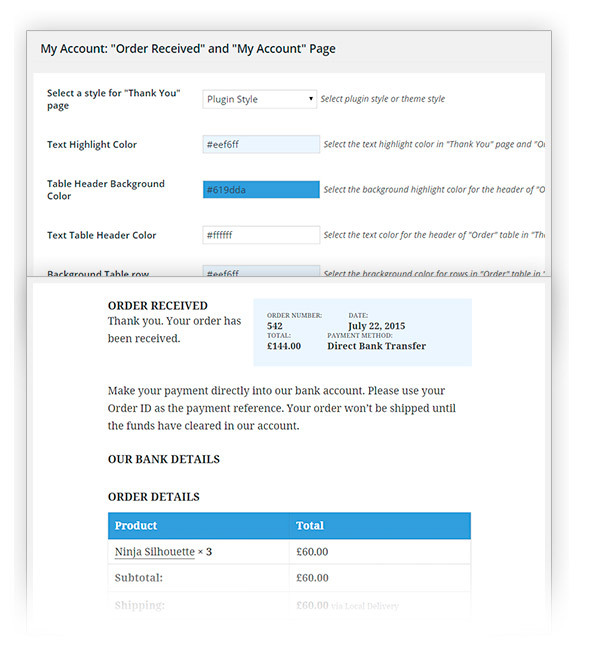 The plugin does not allow to customize the checkout but simply splits it into more steps. Hi, Jez! Yes, it is possible in the premium version of the plugin. If you wish to test the premium features from the backend, please go to our live demo and click on Launch Admin Demo.